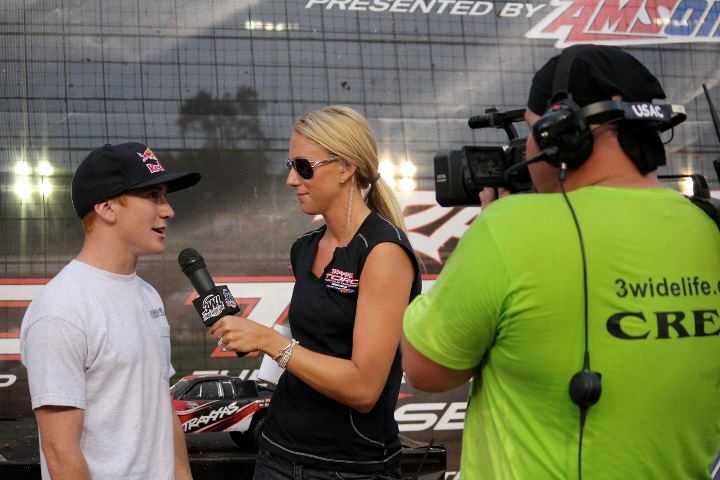 Whether she's on camera, behind the scenes or standing in the pits watching dirt fly, Meghan Kolb cherishes her job in motorsports broadcasting. As a producer and co-host of the television show "Three Wide Life," Kolb wears every hat imaginable. She schedules, sets up and performs interviews, plus does some of the post-production editing. Off camera, she handles marketing, public relations and the show’s social media accounts. “I’m kind of a jack-of-all-trades,” Kolb said. Because Three Wide Life (3WL) is a smaller company, everyone on staff pitches in to do all kinds of tasks. Their reach is anything but small, touching an audience of 40 million households, according to the official website. In fact, Kolb said 3WL is the most frequently aired motorsports show in the country. “The unique thing about it being a nationally syndicated show is that it airs in different markets depending on where you are,” Kolb said. She loves that the show runs year-round on regional sports networks or can be viewed online a couple weeks after they air on television. Raised in a Chicago suburb with her brother and two sisters, Kolb was no stranger to sports. “My dad used to always take us to Bulls basketball games and Notre Dame football games, so I grew up as a sports fan,” Kolb said. Her talent on the volleyball court earned her a full athletic scholarship to Clemson University, where she fell in love with the south, although at that point she hadn’t dabbled in the racing side of southern culture. “I really liked the south but knew nothing about NASCAR, being from Chicago. I think I knew who Dale Jr. was, but that’s because he was so popular. I don’t think I even knew they went in circles around the track,” Kolb recalled. After graduating from Clemson with a degree in sports marketing, she was offered an internship back home with the Chicago Bulls, but accepted a spot with a sports marketing agency near Charlotte instead. During the internship, Kolb attended her first NASCAR event. When the green flag fell at Darlington, she describes getting chills and realizing in that moment that she was a race fan. Kolb has fond memories of that first visit to the Lady in Black. “There is so much history and culture there," Kolb said. "At the time I don’t think I really appreciated it because I didn’t even know that so many legends had been there or how you get your black stripe and all that good stuff. It’s crazy how quickly I learned and picked up everything. I ended up loving racing." When the economy took its toll on the sports marketing agency, a side project thrived – a TV show called "Three Wide Life." Kolb was an intern at the time and enjoyed the project. “They let me go along for interviews with different drivers. It was kinda fun doing the research and interviewing the guys,” she said. Now, as co-producer and co-host of the show, Kolb is passionate about covering grass roots racing and showcasing racing personnel who aren’t usually in the spotlight. ﻿One episode features female drivers Ashley Force Hood, Johanna Long and Natalie Sather, along with Kelley Earnhardt Miller and her daughter, Karsyn, with reporting by Kolb, Erin Evernham and Tiff Daniels, who is also a driver. 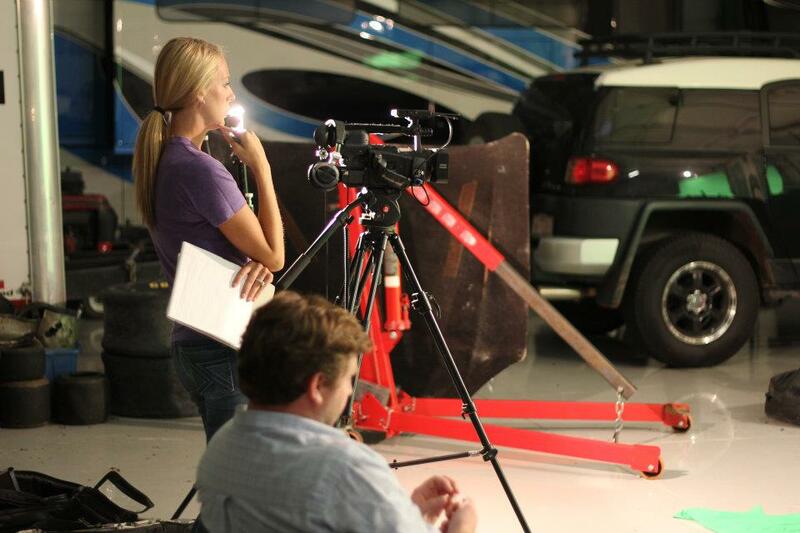 As part of her job with 3WL, Kolb spent two years as a pit reporter for TORC (The Off Road Championship.) She did pre-race stories and interviewed the top-3 finishers after each event. Kolb and her husband, Adam, have a fun “how-did-you-meet” story. “Emily Maynard used to be a host on our TV show,” Kolb said. “She, in a round-about way, had introduced my husband and I to each other when he was a pilot at Michael Waltrip Racing.” They interviewed Adam - who has flown drivers including Denny Hamlin, Robby Gordon and David Reutimann - about what it’s like to be a pilot for NASCAR. Adam and Meghan welcomed a baby girl, Nolyn, to their family in April 2012. 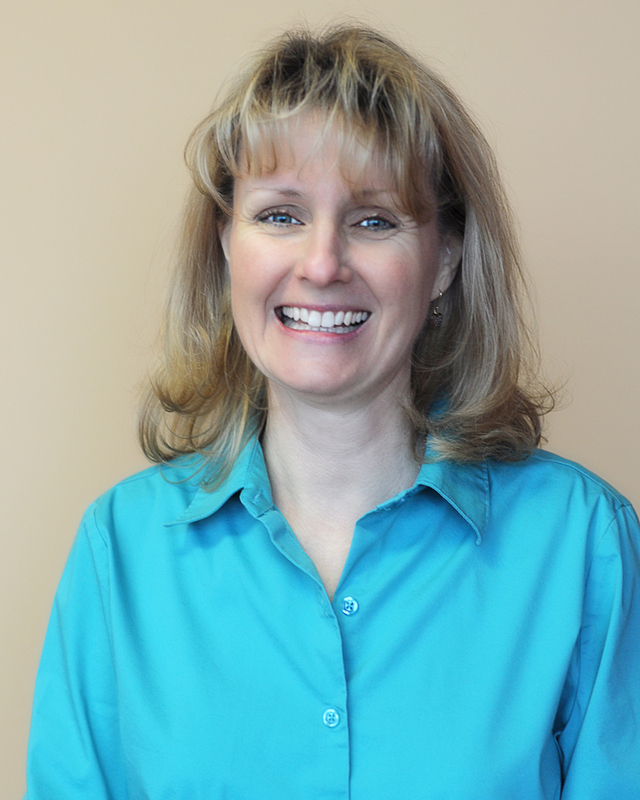 Kolb’s work has challenges and benefits, with travel serving as both. It’s difficult to leave her husband and young daughter when she travels, yet she revels in the fun and excitement it brings. Want to check out Three Wide Life for yourself? Past episodes featured Kyle Busch Motorsports, Turner Motorsports, BK Racing, Venturini Motorsports, and Front Row Motorsports. Upcoming interviews include Clint Bowyer, the Truex brothers, Kyle Larson and more. Check TV listings for your area or watch online episodes at the 3WL website. All photos courtesy of Meghan Kolb and Three Wide Life.